Marine scrubber technology leader Ionada Incorporated, has completed the installation of its Membrane Scrubber™ for MG Management’s RO-RO carrier, the NOLHANAVA. 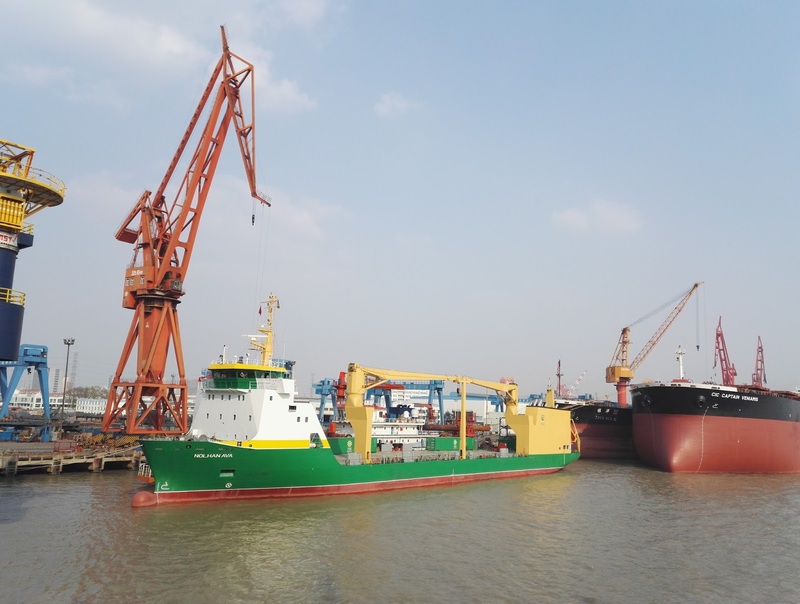 The installation was completed at COSCO Nantong Shipyards in Nantong China. “We would like to thank both COSCO and MG Management for their support and expertise in helping make the Membrane Scrubber™ installation such a resounding success” said Ionada CEO, Edoardo Panziera. “We look forward to completing the commissioning of the Membrane Scrubber™ during the next few weeks and publishing the test results” continued Panziera. “This installation represents the world’s first SOx removal for ECA compliance using the ceramic membrane technology. The conversion has been highly-rated by the present government officials and experts.” as stated by COSCO Shipyards. See COSCO Press Release here. With the introduction of Ionada’s Membrane Scrubber™, shipowners can achieve the benefits of fuel cost savings while meeting ECA requirements, with the added assurance of no environmental challenges to overboard discharge as well as simplified retrofit installation.